At the beginning of 2014 I still have quite a few WIPs rolled over from the 2013 challenge. My main aim this year is to finish my Castles in the Air, keep up with Around the World in 80 Stitches and work hard on Cruising the Information Highway. So where am I at the end of January with them? Not much further on realistically *sigh* We've had a busy month with the kids returning to school and all their clubs starting up again. DS2 went into the Childrens Hospital for dental surgery and DS1 working hard in Taekwondo ready for his grading in February and a competition. 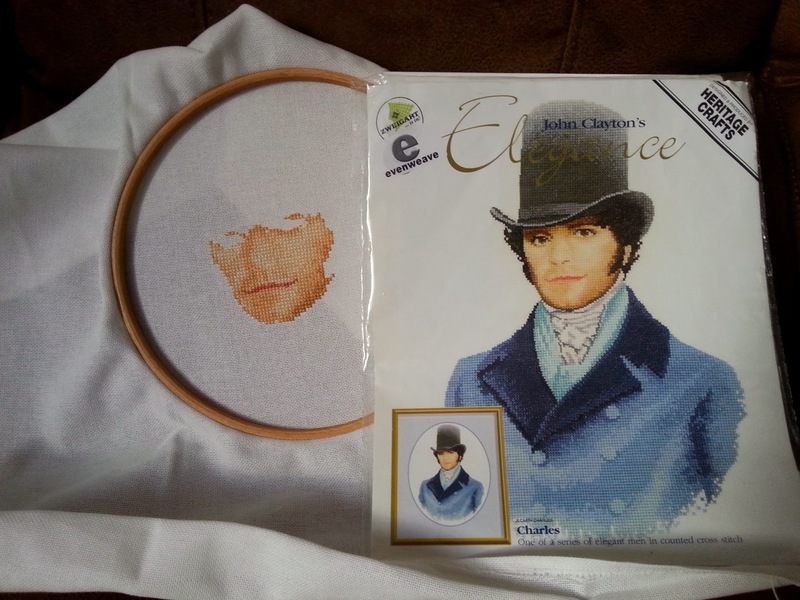 I have finished the first row of my HAED "Cruising the Information Highway"
I also started another project, it's called "Charles" by John Clayton but to me he's "Mr Darcy"
Charles, nonsense, absolutely it's Mr Darcy! Love the positive thinking, Jo. Do hope the weather improves for you all soon. Wonderful progress on all your projects Jo. Excellent progress on everything! Congrats on finishing the top row of your BAP! 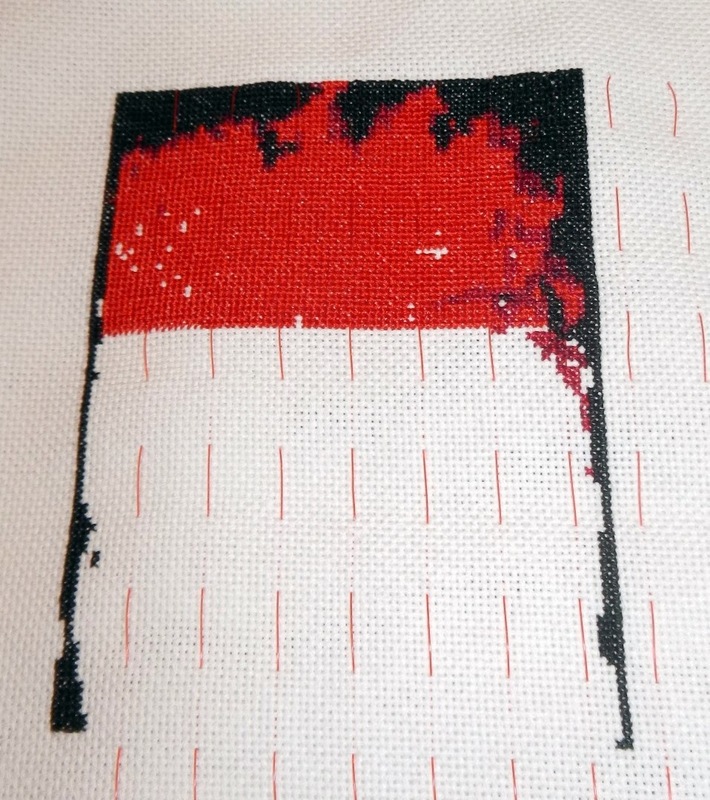 Your wips are coming on great. Looking forward to seeing a bit more of Mr Darcy appearing! Charles is probably one of Mr. Darcy's middle names, don't you think? :) - I do love your Positive Thinking SAL - merci! Ah. I love Mr. Darcy, I cross stitch often to Pride and Prejudice with Colin Firth. (Handsome guy) I get excited when I see the women stitching in the different scenes of the movie. I call Pride and Prejudice as one of my "Movie to Stitch to"